Barong Bali is a symbol beginning ancestors revered and respected by the people of Bali. Barong Bali is now not only a symbol for ancestors, has now become a dazzling work of art, and became a dance with high magical feel to be a spectacle to tourists visiting Bali. Barong Bali made to the design and artistic elements are very high. Barong Bali is very beautiful, with such a large cat with a fur resembles very bushy. The feathers on the Barong made very carefully and neatly, so beautiful and exotic impression is very clearly visible. Display complex with elegant decorations and ornaments. Not tacky but harmonious and very neatly arranged. Barong Bali is a work of art by the Balinese are very beautiful and recognized by people from various countries as a work of art with the flavor of a very high art. 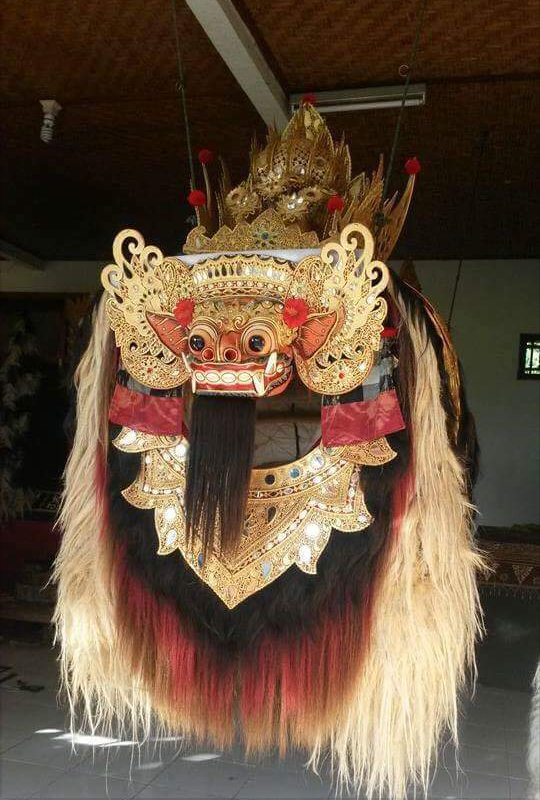 Barong Bali is very different from that created and owned by the Chinese. Although its history is inspired by the Balinese barong barong artificial Chinese people in the past. Along with the development of culture and art is increasingly dynamic, Barong Bali now has many types and forms. Barong Bali is made based on the kinds of animals as basic inspiration of manufacture. Animal species that inspired is a pig, tiger, tiger, snake. These animals can be seen from the shape of the face of the Barong. Gianyar is a center of craftsmen Barong in Bali. Gianyar is an art center that is able to make barong beautiful and exotic. Barong Bali now has become a work of art that can be purchased freely. Balinese barong price is very expensive. Because it is made with high precision. Not low-grade artwork.